How much difference can the sun make, in just a couple of days the trees became green, birds started singing and people with smiles on their face are enjoying the wave of warm weather. Nobody knows how long it's going to stay like this especially during April's ever changing weather, so everyone is making most of these sunny days. 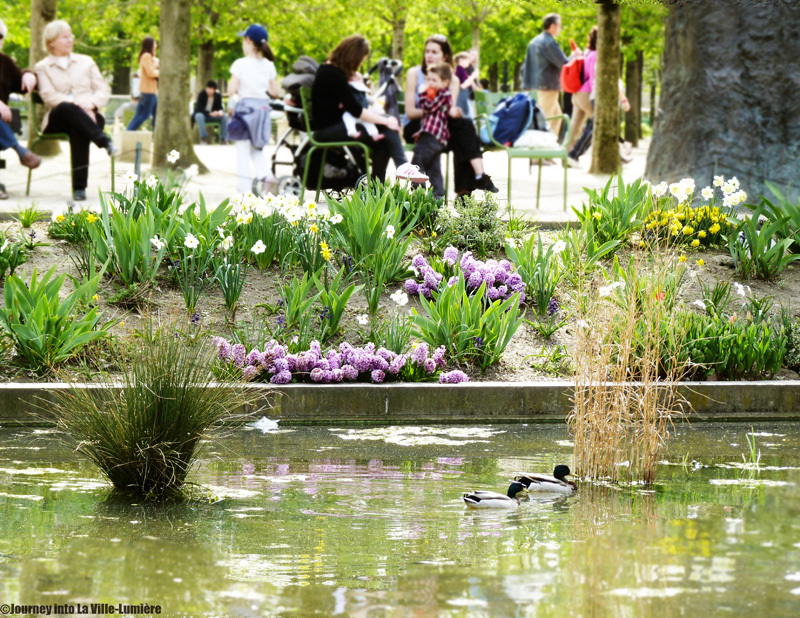 Paris has many parks and gardens and to find a bench to sit down could be quite a mission at this time as people take their lunch breaks outside. I am in love with the sunny Paris and its atmosphere you can feel everywhere you go. 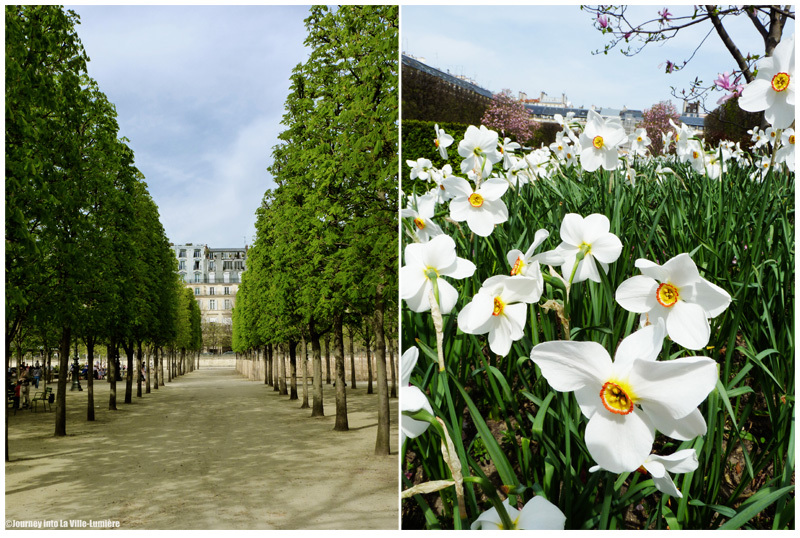 Tuileries Garden and Palais-Royal Garden on the pictures. Wow! I can't believe you don't even have a professional camera and yet you take such gorgeous photos!! You are very talented! So what is your story? Do you live in France and when did you start this blog?